There are 14 reviews of La Panthère. A beautifully blended mix of old and new. It's a bit retro with the gardenia, oakmoss, and musky base, but has that synthetic fruits/rhubarb note that blends with it making it seem very modern too, but not a standard fruitchouli. I just have to mention the blending again because this could have been so bad. Gardenia (and really most white florals)can go weird on me, as well as fruity notes and musk, but this works great. Fairly well behaved, despite the name, but not boring either. Very nice on rainy spring or fall days, IMO. The opening is very special, with floral and animal notes. But then this fragrance disappears into some kind of white musk. I can barely smell anything else. Tart fruit opening. However, the rhubarb and strawberry notes are refreshing. Middle reveals flowers of orange blossom, rose, and ylang ylang. Pear, too. Later, I smell moss & something else, down-to-earth like. Not overly exciting. I'll stick to my Baiser du Dragon, for a perfume with oomph. Rhubarb is pretty tricky. Cartier does it with a very classy, "less is more" vibe. Its one of my favorites. Cartier is such a weird perfume company. They clearly think of themselves as a grand old perfume house with a catalog of important, top-notch scents. But somehow, it's clear on smelling a lot of what they put out that they aim high but then something goes wrong and they end up smelling considerably more pedestrian than they apparently intend. La Panthère is a perfect example of this. It's supposed to be a heady, raunchy tribute to Brazil. To that end, it's quite mossy and poopy, but then everything else is just a lame artificial-smelling fruity floral that smells like cheap supermarket fruit shampoo. It's like they had enough drive for greatness to add the musk and moss, but not enough to leave out the pedestrian, basic fruit mix. For the record, they did hit the mark with their Eau De Parfum Legere flanker - It's considerably better, with the fruit toned down and replaced in the forefront by aldehydic white florals which compliment the moss and musk much better. I like this. I get some kind of fruit, but not a specific one, and a similar floral, nothing I can name, but flowers, then musk. This is a very nice perfume for those many times when you would like to smell nice, but not provocative. You could wear this to work, to church, to lunch or on a date when you aren't trying to send any sexual messages. There's a warmth to this fragrance, a prettiness that I don't see as a negative. It doesn't smell cheap, and there's no self-conscious posing with it. It makes me smile, and I am happy to get little wafts of it as I go about my day. That's pretty much what I ask of a perfume about 75% of the time. I don't always, or even most of the time, want to smell like Poison or Cuir de Russie, though those are two of my favorite perfumes. Sometimes I just want to smell pretty. And La Panthere gives me that. 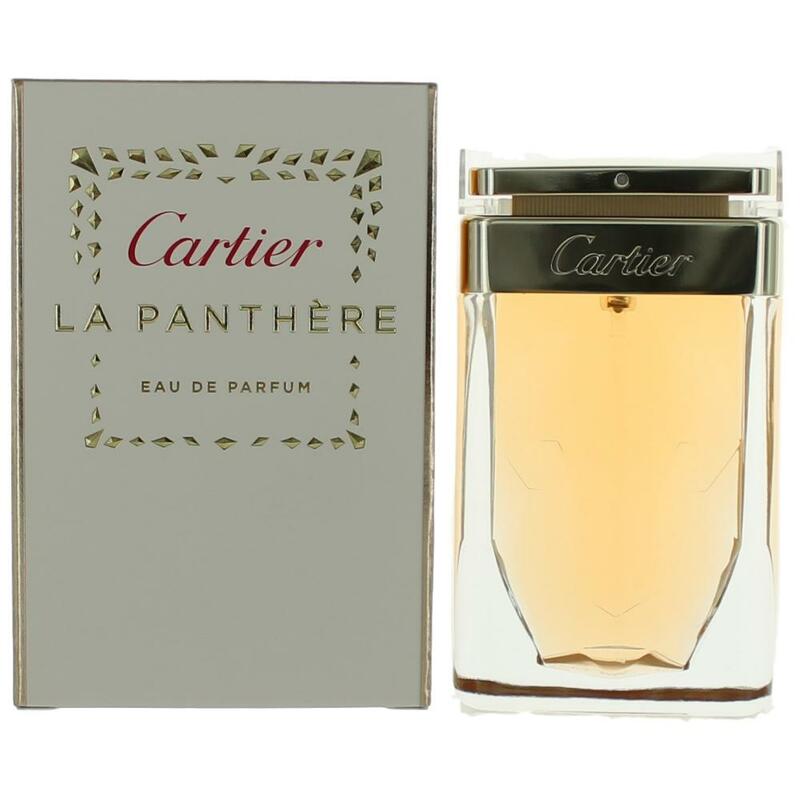 Cartier La Panthere Eau de Parfum 2.5 oz. 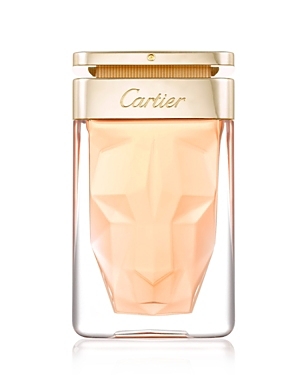 NEW: Cartier - La Panthère Etincelante For Women! NEW: Cartier - La Panthere Eau de Parfum Edition Limitee 2017 For Women! New: Cartier La Panthere Noir Absolu for Women! 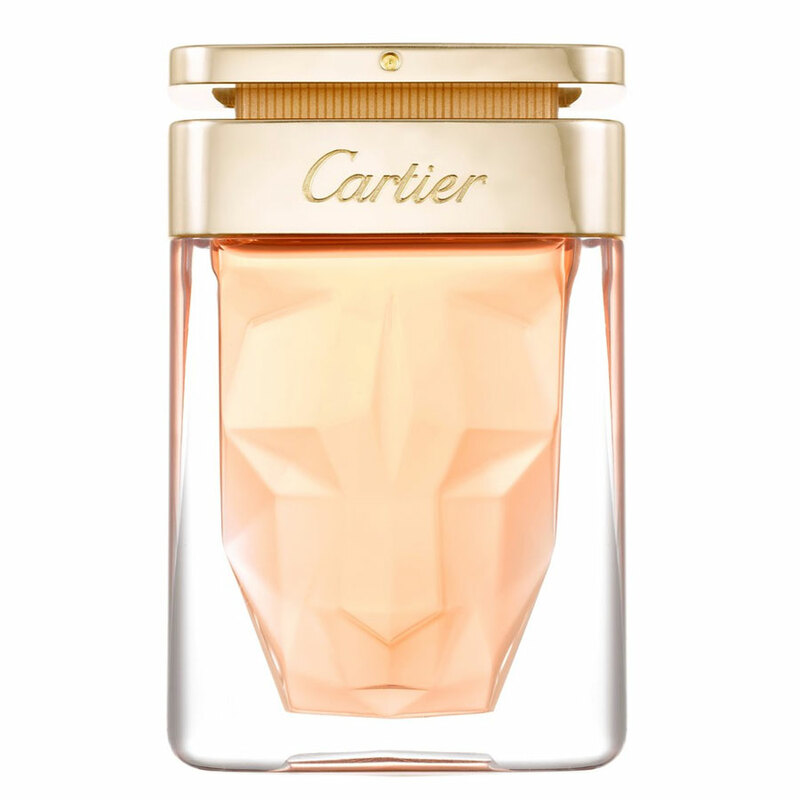 Cartier La Panthere Legere: a scent wearable for men?